This article contains referral links to products on Amazon. As an Amazon Associate I earn a few coins from qualifying purchases. If you know me, you know I like to do experiments. Especially when it comes to new recipes or “medicinal” foods. 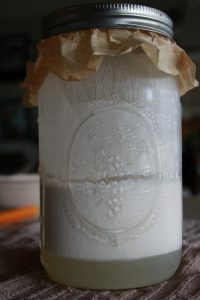 So when I read this article about the probiotic Lactobacillus Reuteri, I was all about making some yogurt! 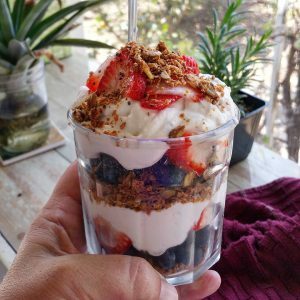 I have had great success in the past making dairy yogurt for my kiddos, particularly to stretch the budget and make a raw yogurt that my dairy sensitive son could consume. However. We are now mostly dairy free. 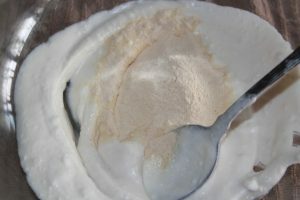 According to the article, this is the most difficult way to make this particular yogurt. Sigh. Of course it is. 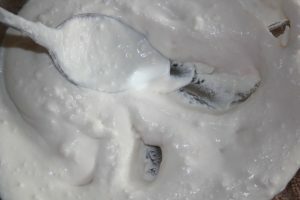 So, before I tell you the mess of my experiment, I’ll share some of the reasons we might want to get some l. reuteri yogurt into our daily routine. What the heck even is it? Lactobacillus Reuteri is a beneficial bacteria naturally found in the guts of mammals and birds. It is one of the most studied strains of lacto, (which makes it fun for experiments), and has lots of health benefits shown through those studies. It improves gut health- decreases incidences of diarrhea but also increases bowel frequency (helps with constipation). So see? Why would you NOT want more of this probiotic in your life? Of course, like most probiotics, the strain really makes a difference. Most of the research into this bacteria has been done with l.reuteri DSM 1793 and l.reuteri ATCC PTA 6475. 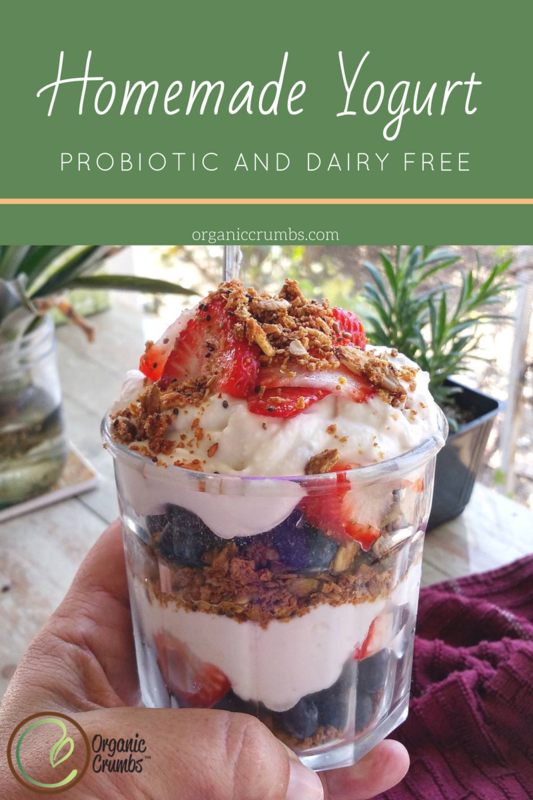 When you are looking for probiotic products it is important to know which strains you are getting, as some of the combos in probiotics are not as good for folks on FODMOP restriction or with histamine issues. I am still in the middle of testing what consuming it does for me, but had to start with making the yogurt. Since I was planning on using coconut milk, I knew it was going to be a little more challenging. 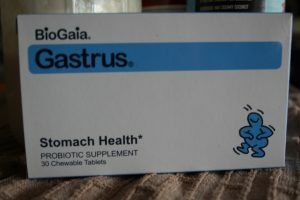 I started with this product, from BioGaia, called Gastrus, which combines the two afore mentioned strains. As mentioned in the article I read, the low bacterial count per tablet makes it difficult to see the same benefits as the studies show. Therefore, using the tablets to make yogurt can only increase the final count possibly exponentially. You can refer to that article (link above) to make a dairy version. What I am talking about is only the coconut milk version. Make a slurry using the crushed tablets, 1 tbsp organic granulated sugar, 1 tsp of prebiotic powder (inulin) and 2 tbsp of coconut milk. After ferment time, place in fridge for at least 1 hour then stir well. Use about 1/2 cup per day to see benefits. In my first attempt, I used ThaiKitchen Organic canned coconut milk. I used too many tablets because I thought I was making ½ gallon. It turned out to be only 6 cups once everything was mixed in, (about a quart and half). I had it in my dehydrator at 1100 F for 42 hours. I have a suspicion, though I didn’t test it, that my dehydrator was running a little warmer than the settings. It was edible. And I ate it all, but didn’t save any for a new batch because it was a little runny. 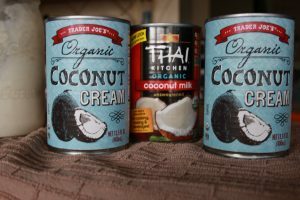 In my second attempt, I used Trader Joe’s coconut cream (2 cans) and Thai Kitchen coconut milk (1 can). I only used 5 tablets and it was still only 6 cups. I left it in the dehydrator set at 1050 F for only about 30 hours. It was perfect. 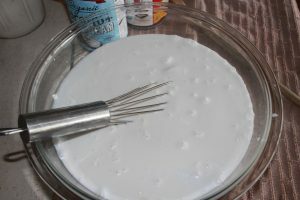 There was separation of cream and coconut water but easily mixed back in to make the perfect thick yogurt consistency. I think the cream makes a huge difference. I saved 1/4 cup of that batch as the starter for the next batch. I’ll be back to update when it has “cooked”. How did you go with using 1/4 of the original as starter for the second batch please? Did you add more inulin or sugar? Hi Megan, My second batch actually turned out pretty well. I didn’t add any more sugar or inulin, but I may when I revisit this in subsequent batches. The yogurt was nice and thick and had a decent flavor. But then life happened and I din’t make any more. Hoping to come back to this in a couple months.